Bishop Michael was born and educated in Southampton. A degree in History and Social Sciences from Birmingham University was followed by a PGCE, teaching in the East End of London and teacher education in Nigeria before ordination training at Ridley Hall and a Cambridge degree in Theology. His parochial experience has included market town, rural and urban contexts and he has also served as a school chaplain, and had responsibility for the selection and professional development of clergy. In 1993 he became Suffragan Bishop of Birkenhead in the Diocese of Chester, where he was heavily engaged in issues of urban regeneration and community renewal, before coming to Exeter as Diocesan Bishop in 2000. His long-standing interests and areas of involvement include the needs of young people, education and the Middle East. Current national responsibilities include chairing both the Church of England’s Rural Strategy Committee and the Melanesian Mission, as well as being a trustee and board member of Christian Aid. He became a member of the House of Lords in October 2005. 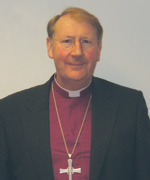 In Devon Bishop Michael is a member of the University of Exeter’s Council, currently serving on the Ethics Committee. For the past seven years he has chaired the County’s Strategic Partnership, which brings together some 150 partners from the public, private and voluntary sectors, to develop a vision and sustainable community strategy for the people of Devon. Richard Hooper has devoted his career to the media and communications industry. Graduating from Worcester College, Oxford with a First in German and Russian in 1963, he entered the BBC as a general trainee. He spent two years in the USA on a Harkness Fellowship studying educational and communications technology. From 1970 to 1972 he was a founder on the BBC side of the Open University; he then went on to run the government’s R&D programme in computer assisted learning before taking a pioneering role in the launch of Prestel, the precursor to the Internet. From 1981 to 1986 he ran the Value Added Systems & Services Division of BT and then ran Super Channel, which with Rupert Murdoch’s Sky was the first pan-European satellite television service. In 1988 he became a pluralist with a wide-ranging portfolio across the public and private sectors. 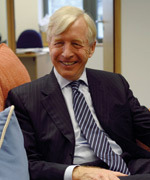 Richard was appointed Chair of the Radio Authority in 2000. This is the body which regulated commercial radio in the UK. It was then a natural move to become deputy chairman and chairman of the Content Board of Ofcom (the media and communications regulator) when it started in 2002. He has just stepped down as Chairman of Informa plc, and is currently a director of Yell Group plc and i-mate plc. He is married to the writer Meredith Hooper.